New York University School of Law, non-degree coursework in Advanced Certificate Program (2008-2009) courses included Estate and Gift Taxation, Generation Skipping Transfer Tax, and International Estate Planning. 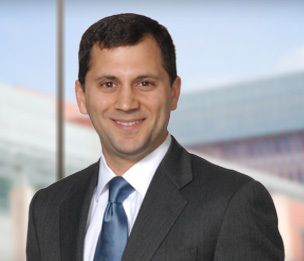 Anthony Frasca is a Member in the Taxation Department of Dykema's Ann Arbor, Michigan office. Mr. Frasca focuses his practice on sophisticated estate and business succession planning for high net-worth individuals and families, with an emphasis on tax-efficient planning and philanthropic giving, and on assisting tax-exempt organizations, including with respect to nonprofit formation, governance, and various tax-related issues. Mr. Frasca frequently assists individual’s with the creation and implementation of complex estate plans for the purpose of achieving both tax and non-tax objectives. He also has significant experience advising nonprofit clients with issues related to maintenance of tax-exempt status, unrelated business taxable income, charitable gift annuities, charitable lead trusts, charitable remainder trusts, gift acceptance policies, and gift agreements. Prior to joining Dykema, Mr. Frasca practiced as an estate planning attorney at AmLaw 100 firms in both Chicago, Illinois and New York City.